Your opportunity to discuss postgraduate study, masters programmes and professional development at the University of Plymouth. Embarking on a postgraduate programme is a major decision, and one for which you may need further advice and guidance in helping you to make your final choice. Why not come along and visit us at our postgraduate open evening? Take this opportunity to have your questions answered or find out more about your subject of interest. The evening will consist of welcome talks, finance talks, subject specific talks and drop-in sessions to provide you will all the information you require to choose the right postgraduate programme to meet your needs. A full programme will be emailed to you one week prior to the open evening and you can also see your programme of activities which will be made available here. 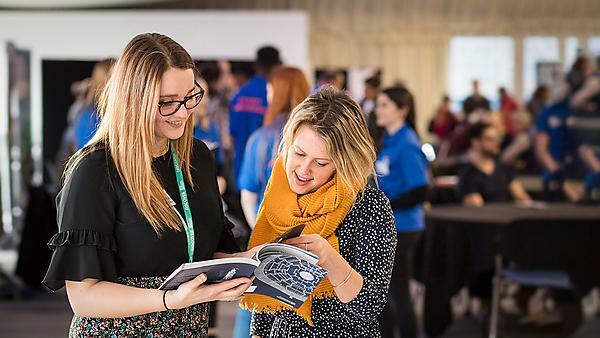 Visit the postgraduate open evening webpage for the most up-to-date information or contact the Plymouth course enquiries and admissions team for further details.